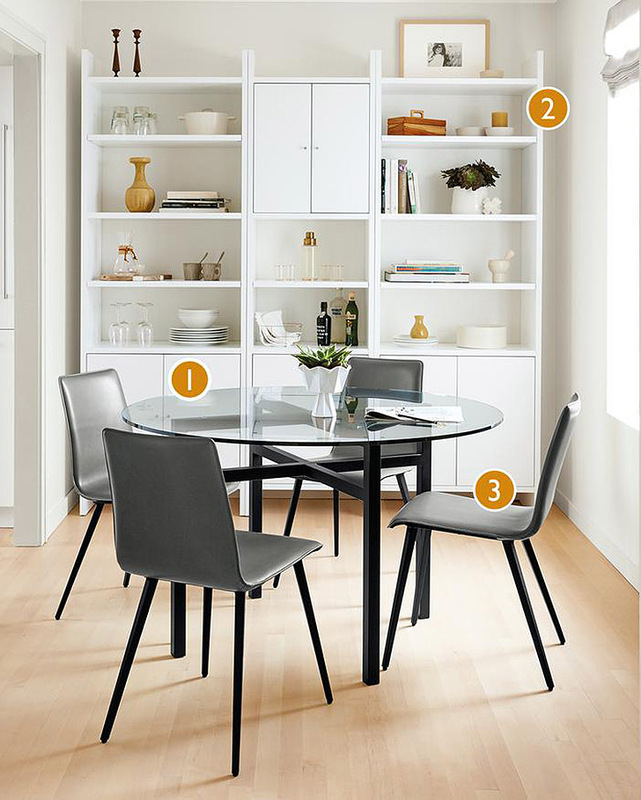 A compact dining space can still be beautiful and functional with the right furniture pieces! Scroll on to see why this space works. 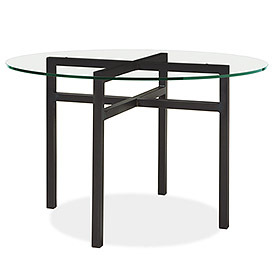 Just right for small spaces, our Benson table is big on architectural style. Skilled craftsmen select the steel and precisely hand-weld the natural steel base. Perfectly scaled for this dining space, Benson’s circular table top makes it easy to add or remove chairs. 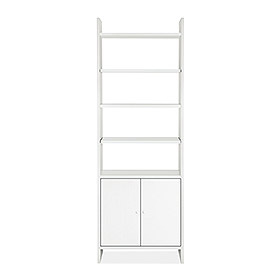 Our Addison bookcase offers kitchen storage and more with its functional style. Linens and dinnerware can easily be stowed behind doors, while beautiful accents like vases, potted flowers, frames and glassware can be on display. 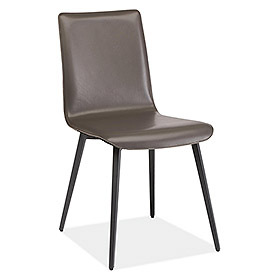 Our Hirsch chair packs comfort and style in a timeless, compact design. Each chair’s sleek design complements the small scale of the Benson table. Plus, Hirsch’s bonded leather seat and back will keep you and your guest comfortable. Find more small space inspiration and solutions here or get personalized ideas and advice for your space with our free design services!